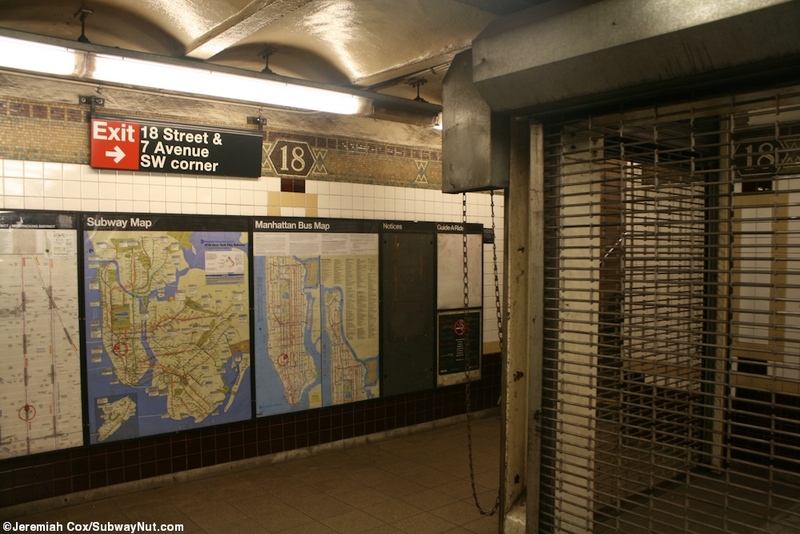 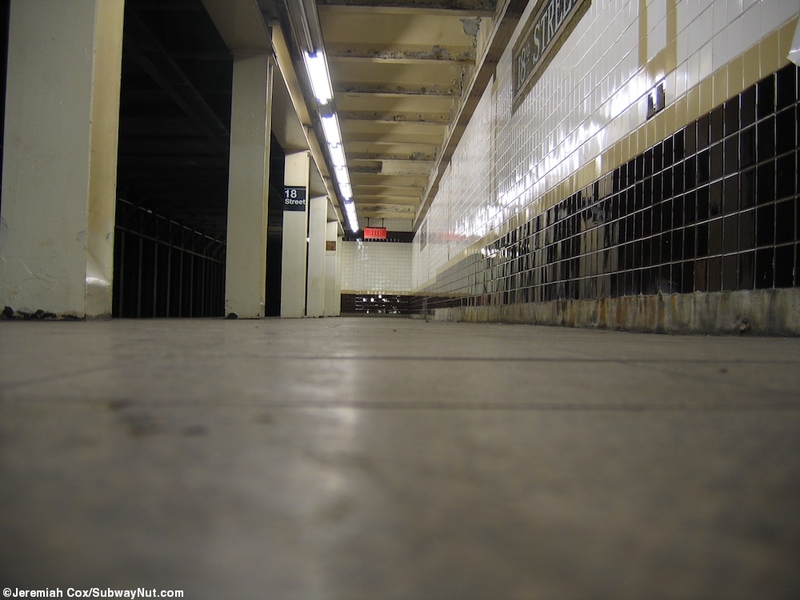 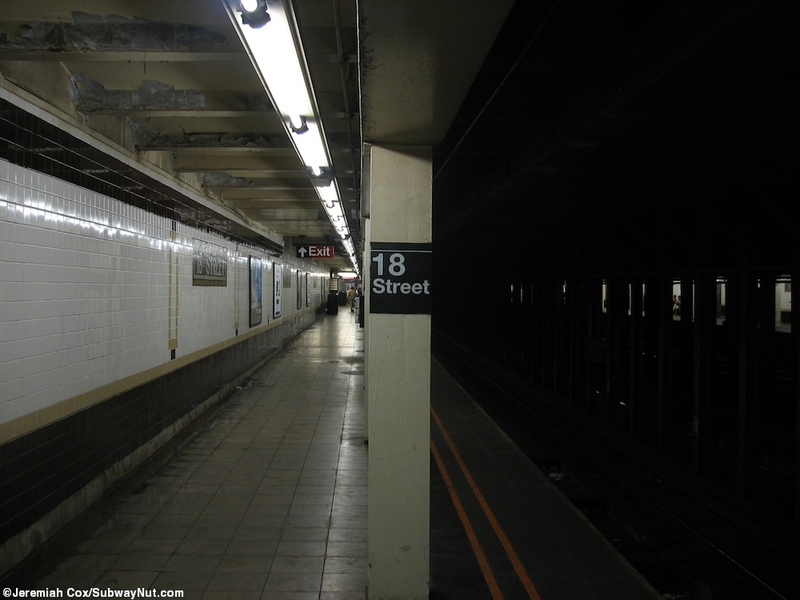 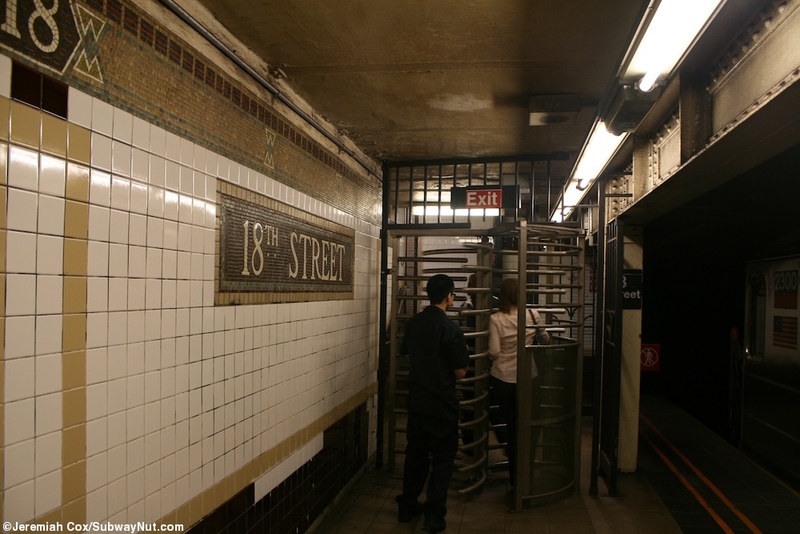 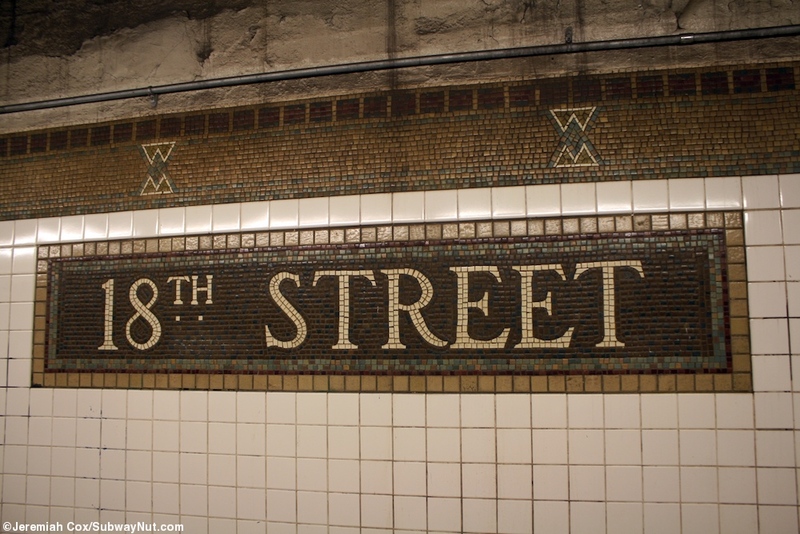 18 Street is one of two subway stops originally with that name, but the only one still open. 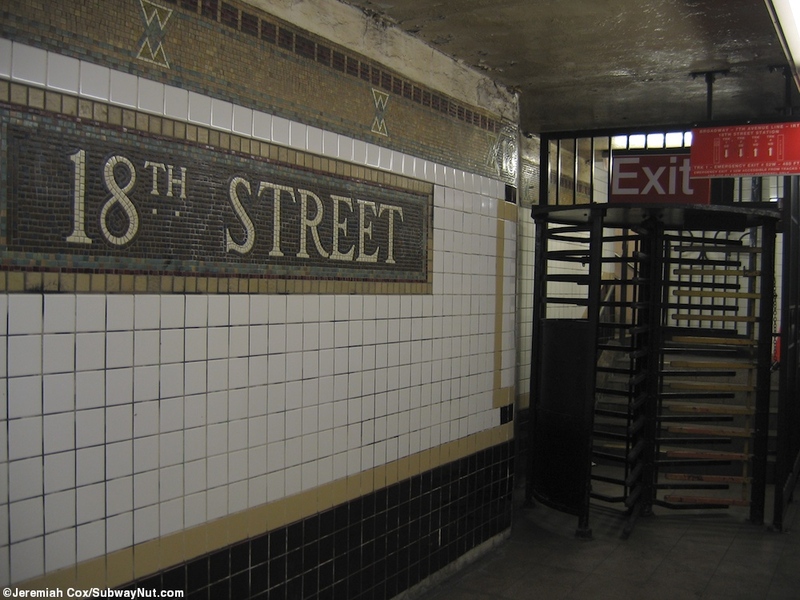 18 Street & Park Avenue South on the Lexington Avenue Line was an original stop but closed in 1948 when Union Square was extended northward. 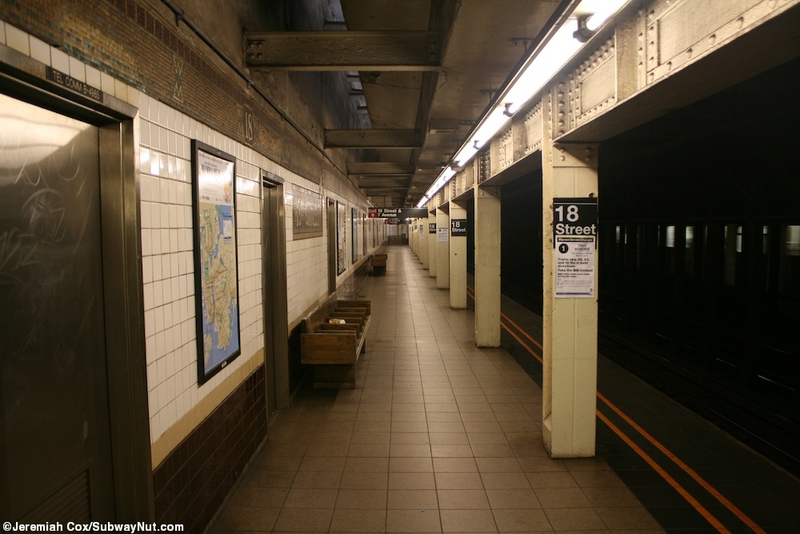 This stop has two side platforms as a local stop and was renovated in the 1990s. 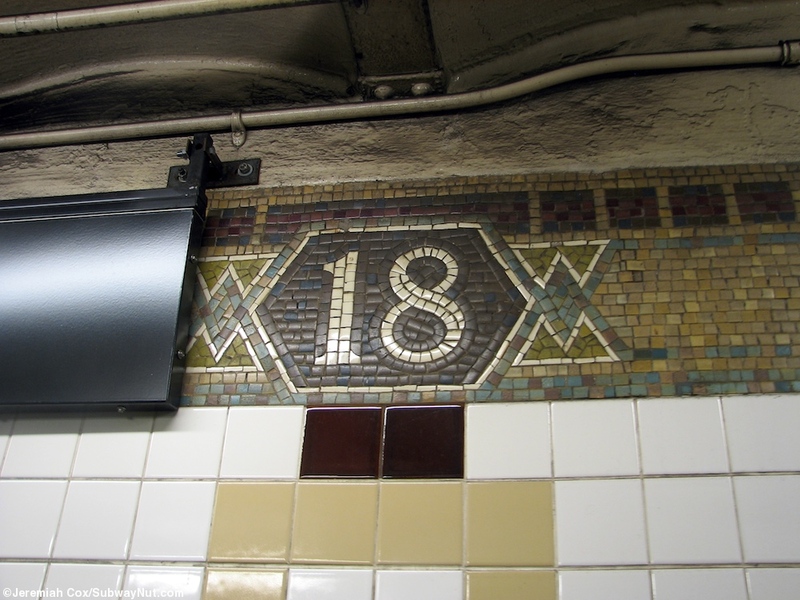 Most of the walls have their original dual-contracts era mosaics with brown as the dominating color. 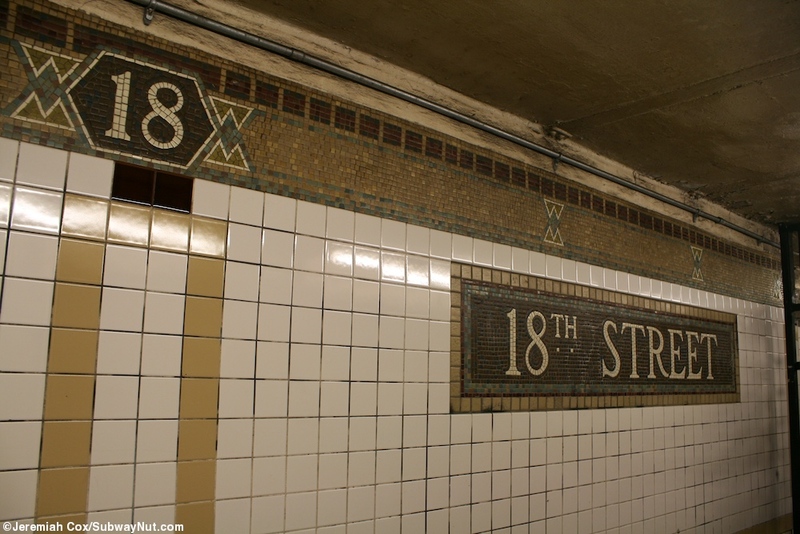 Name tablets spell out 18 Street and their little 18s in the frieze. 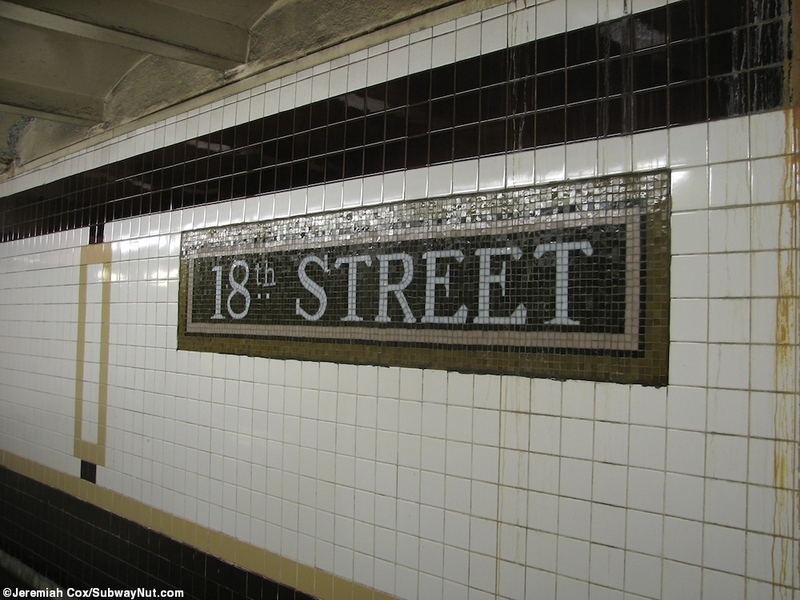 At the southern ends of the platforms they were extended south and here in the renovations the walls were given brown simpler tiling and 18th Street name tablets with the 18s in a slightly different font. 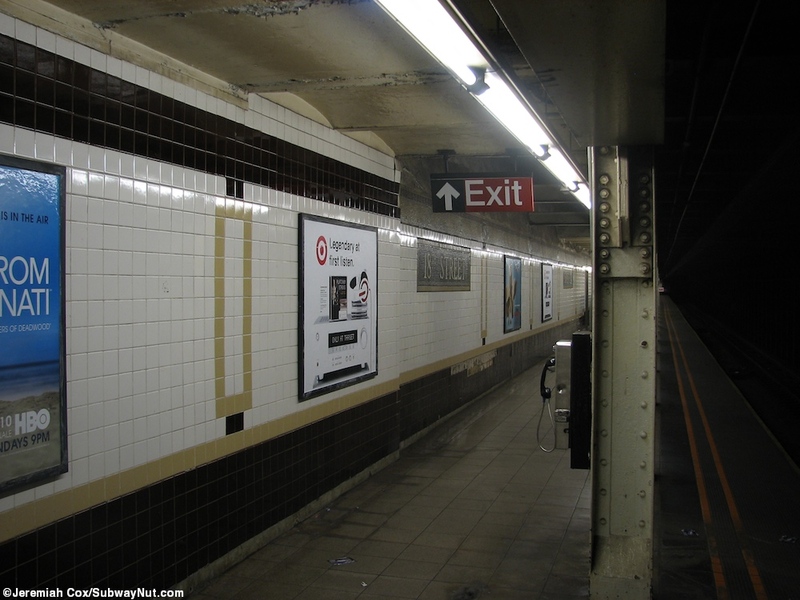 For exits each platform has two. 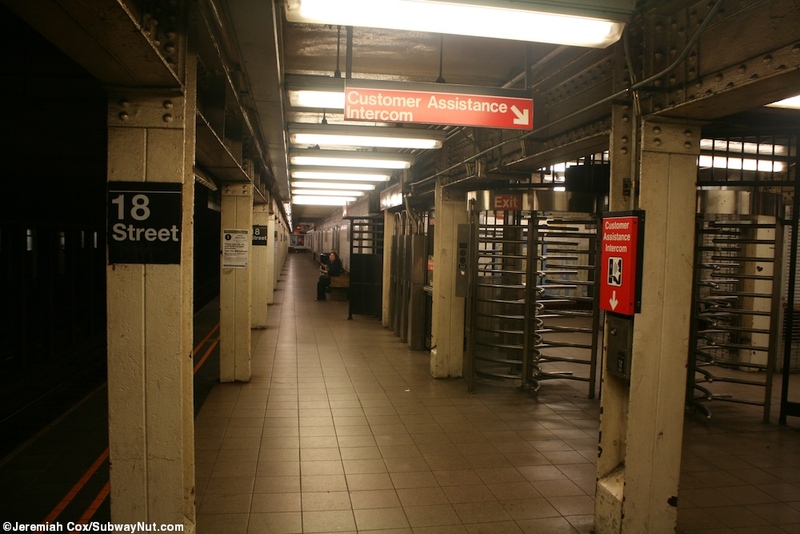 At the very northern end of each platform is a high exit only turnstile up to a streetstair at the SW corner from the downtown and SE from the uptown. 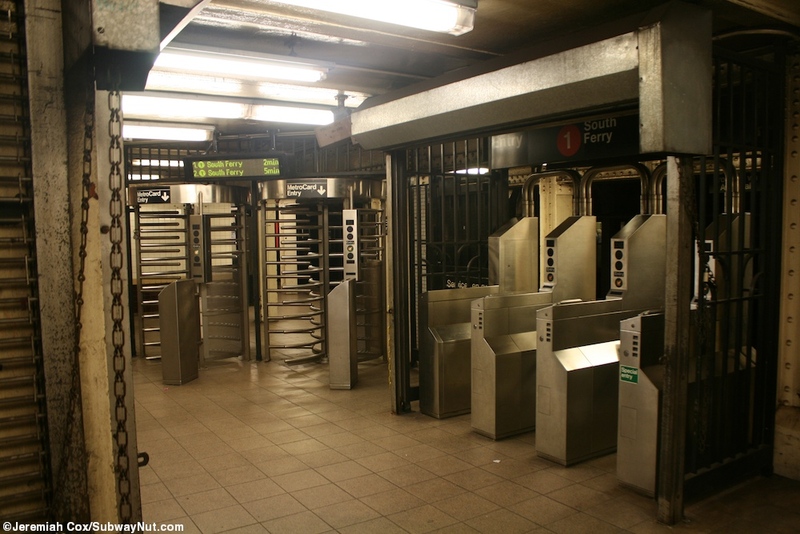 On the downtown platform the main turnstiles are now unstaffed with high turnstiles surviving from when the Customer Service Booth was closed during off-hours. 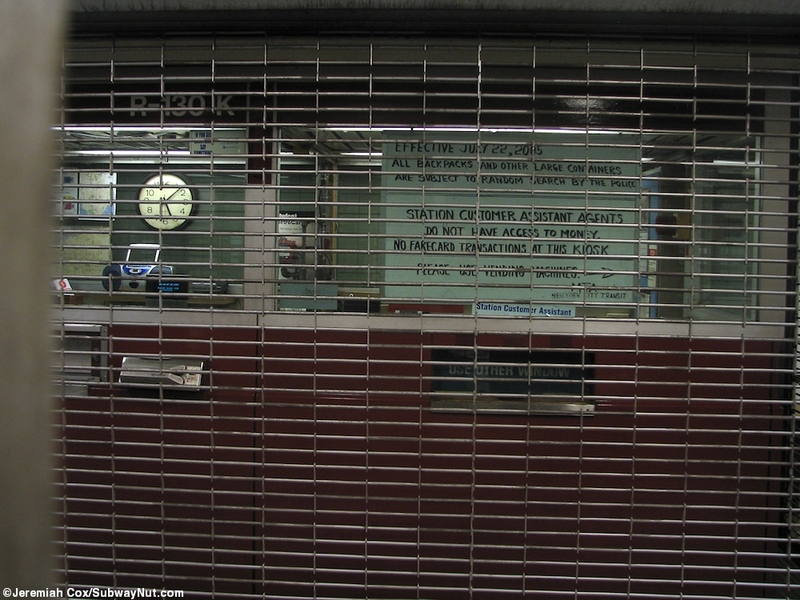 The booth has been removed now surrounded by bare chain fencing that encloses nothing. 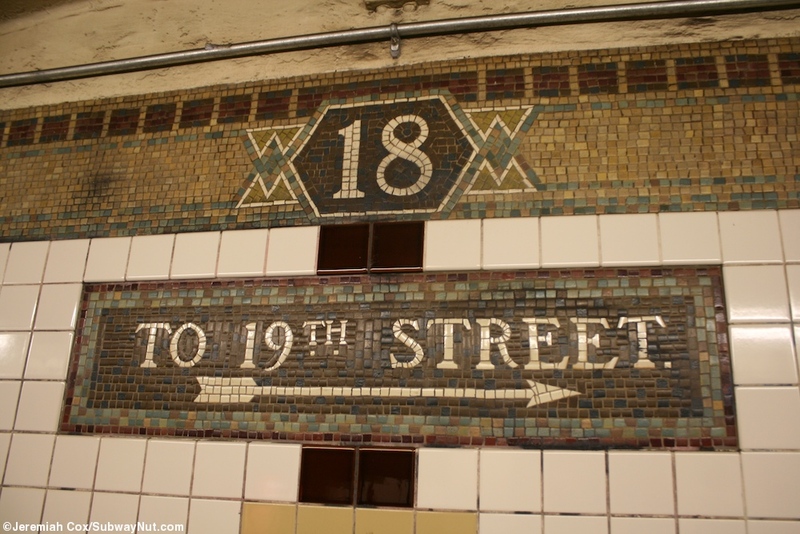 This leads to streetsatirs at the SW and NW corners of 18 Street and 7 Avenue. 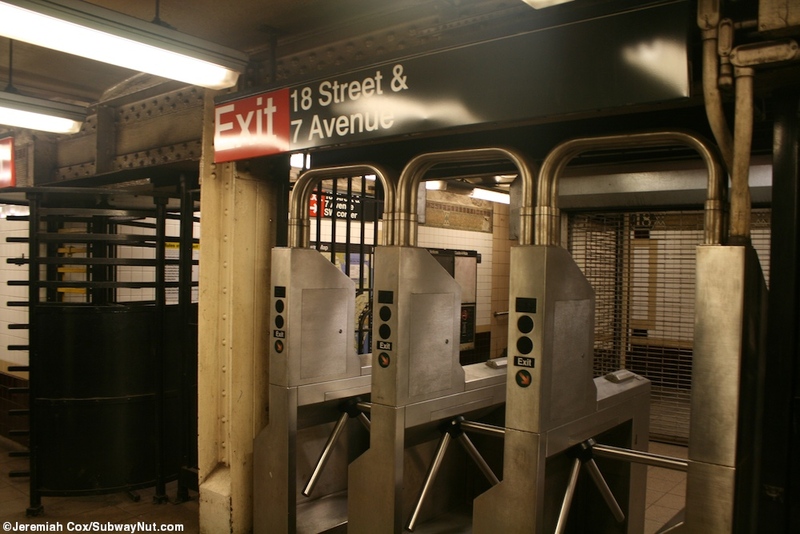 The uptown platform is more regular with the token booth facing the turnstiles and as streetstair up to the NE and SE corners of 18 Street and 7 Avenue.